An easy fresh, rich salad that you’ll crave all year long. Add some toasted pine nuts or other nuts of your choice or maybe some raisins, to give a touch of sweetness. Serve with crunchy bread. In a bowl stir all dressing ingredients and refrigerate until needed. Add a little water if too thick. 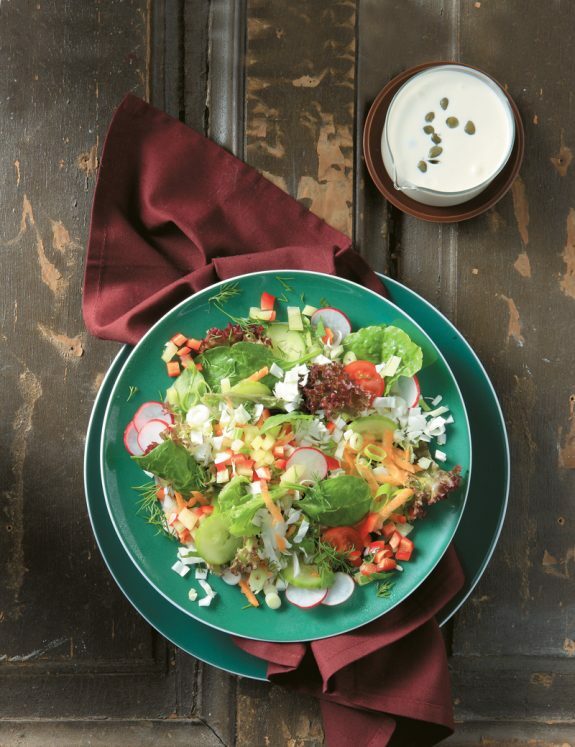 In a large serving bowl mix all salad ingredients, garnishing with sherry tomatoes and radishes on top. Drizzle salad with dressing and serve.